Details: Stone trim with keystones around windows and doors, iron railings, keystones, dentils at cornice. 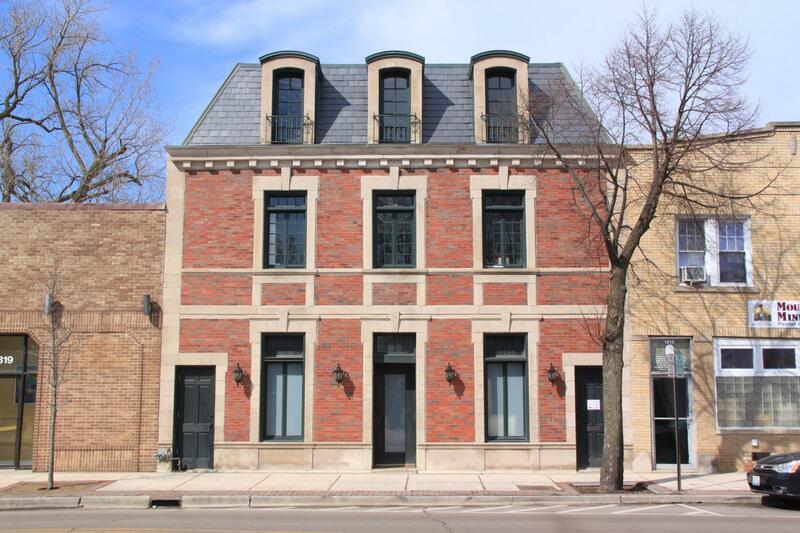 Historic Features: Stonework surrounds at windows, corners and entrances, mansard roof; arched dormers at roof line. Exterior Alteration Permits: 12ADDR-0010: Remodel 1 and 2 flr rear add; 06MSW0000000001: sidewalk + fence; 02FRA0000000283: fence and two rooftop hvac units. COA Info: 12PRES-0043: 2-sty 1,000 sq ft rear add of masonry block and stucco, exterior renovations include repair/replacement of slate mansard rf, repair-replacement of copper flashings, ridge caps, and 3 flr dormers; 06HIS0000000003: Install new wrought iron fence (W, N and part of E property line), classic desing and 2 arched swing gates facing the alley and a pedestrian gate on the NW corner (6'' H x 165'' L); 03HIS0000000227: 1) retrofit existing windows with 1/2" insulated glass; 2) windows stripped and primed with oil-based primer; 3) rot or broken parts will be repaired with epoxy or wood; 4) Single pane glass will be replaced with 1/2" insulated glass and sealed in place with wood glazing; 5) bronze weather-stripping will be added to the window openings; 6) Existing jambs will be stripped and primed; 7) Interior and exterior casements will be stripped and primed; 8) Tempered glass installed on 1st floor casement windows; 9) location of existing windows is on the front of the building; all removed windows will be bored up and the building will be secured.